Most high tech companies need to manage either B2C or B2B relationships. It is increasingly clear that achieving success in both of these areas requires similar approaches to meet escalating expectations of both businesses and consumers for immediacy, accuracy and responsiveness. Legacy approaches using manual intervention and/or cumbersome processes can no longer fulfill these expectations so high-tech companies are looking toward integrated solutions to provide accurate, real-time management of order delivery, returns, promotion marketing, and customer service. Tracking product profitability is vital to business success and ensuring that profitability is tracked accurately in a timely manner can be a complex challenge. With legacy systems, accurate analysis is difficult and again can be manually intensive to pull and reconcile data from multiple sources. Creating a single-source-of-truth through Financial Transformation improves both speed and accuracy, making profitability analysis a routine element of on-going operations to assure agility for achieving business goals. Inventory and distribution costs are too often viewed in the rear view mirror. Being able to be able to manage costs and to be able to fulfill customer demands requires accurate predictive analysis to manage the balance between meeting demand and controlling costs. Challenges in accessing common information across the entire organization and integrating communications between different organizations within your business and with vendors have often proved seemingly insurmountable. These challenges prevent businesses from working at their most efficient and can significantly affect the financial closure process. Here again, establishing a unified single-source-of-truth with consistent data across all processes enables more nimble, accurate and timely results for the entire enterprise. Being able to effectively manage your cash flow both in and out is critical to the health of your business. As high tech industries are characterized by large volumes of transactions for suppliers and customer billings these processes need to be considered as a single flow. Integrated systems within a seamlessly unified financial environment provides a much clearer big-picture view of all cash flows, along with predictive analytics capabilities to assure optimal cash management. Combining these elements within a unified system based around a single-source-of-truth can provide high-tech businesses with the ability to move seamlessly from “insight to action” in real time. 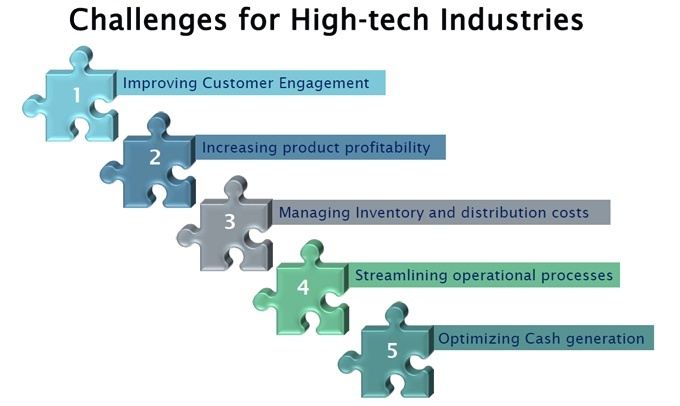 Integrated operational processes are critical to the survival of High tech businesses. Being able to operate these processes in a fully integrated way enables businesses to respond to market forces in real time and more accurately predict market needs going forward. 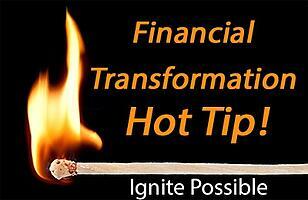 For more information, visit Bramasol's Financial Transformation resources online.